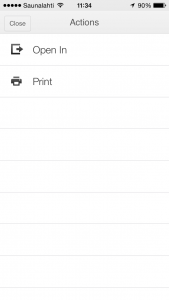 First you need to find and open the file in Google Drive that you wish to import. Now you can tap the three dots in the upper right corner, followed by tapping the “Open In” button, as shown below, and this should allow you to select Flash Reader and start the importing process. 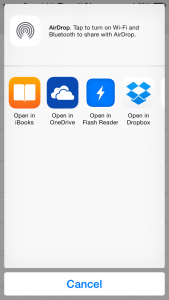 NOTE: The same applies for ALL iOS apps that can open files, including Google Drive and Dropbox!